I think we might be growing out of the time when I give my kids’ ages and people say, “Wow.” Five sounds so much more manageable than four, although I keep hearing it’s actually harder. I hope not. Elliot’s not what I would call a challenging kid, but if I could get him to stop tackling me that would be great. I’ve started my vague fretting over their birthday party. This ruminating and dinking around on Pinterest will give me the impression that I’m actually doing something. So some time around mid September I’ll be shocked that nothing is done and I have a party to plan in 10 days. I do have a wish to make a lovely birthday cake on my life list. I think maybe this is the year to get to work on that. While I will combine the birthday party for as long as I can, being both lazy and cheap, maybe I can give each kid a fun cake on his own birthday. Their tastes are so different. Elliot is a great lover of anything cute. 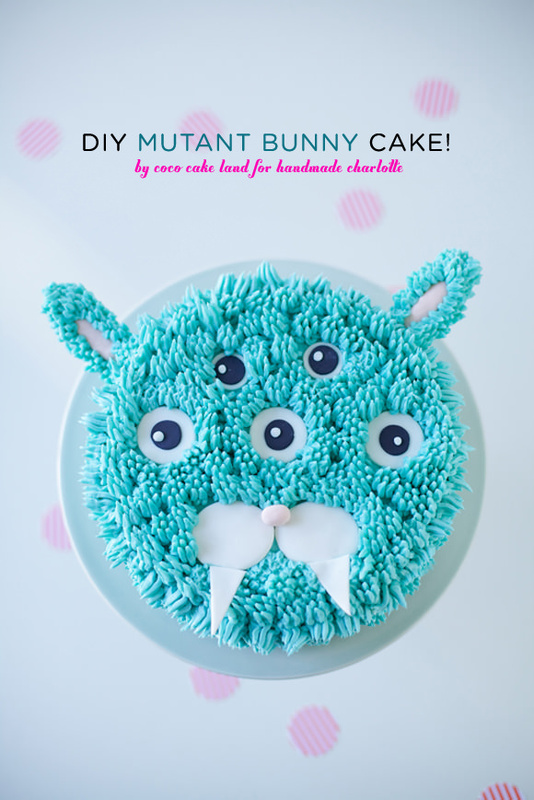 Browsing over my shoulder, he picked out this mutant bunny cake from Handmade Charlotte. That’s beyond my pay grade as a cake maker, but I may be able to modify it. I’m not willing to buy a bunch of supplies I’ll never use again, and I’m not willing to involve fondant. I found a picture of a donut cake for Alden. It’s pretty ambitious, and there are no instructions, but I may take a whack at that. I’m sure it’s harder than it looks, which is how I get into most of my trouble in the kitchen. 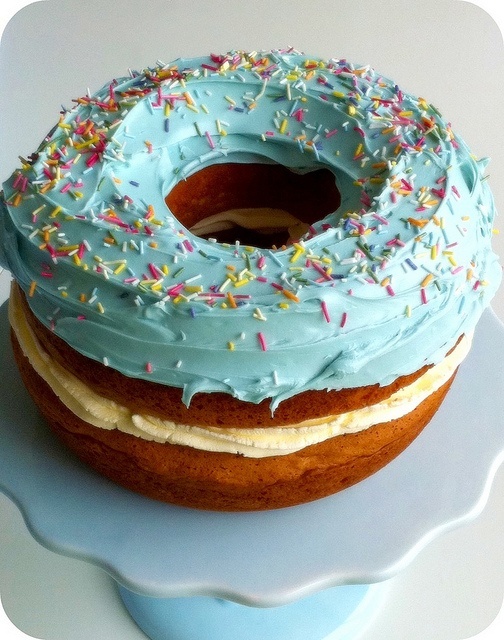 The donut cake looks pretty simple. Two shallow bunt cakes with lots of frosting and sprinkles is my guess. I believe in you! Thank you! It doesn’t look like the cake is scalloped like a bundt cake, but I figure that will just make it fancier.